We have developed Wide range of Accessories in difference styles to integrate on your doors, wardrobes, gates, tables, furniture’s and flooring. We have three difference finishes such as brass, white metal and copper finish, collection in traditional, Victorian, art nouveau, geometric and contemporary. We bring forth in vast industrial experience in this business, engaged in offering a wide range of Star Wall Jali to our customers. Our product is highly demanded in different regions. 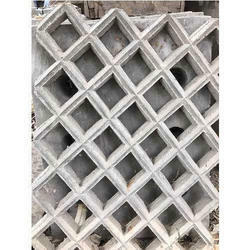 This product is made by using fine quality of material at vendors end. Moreover, we are offering this product at pocket friendly price. Our expertise lies in offering Designer Grill in various specifications and other options.